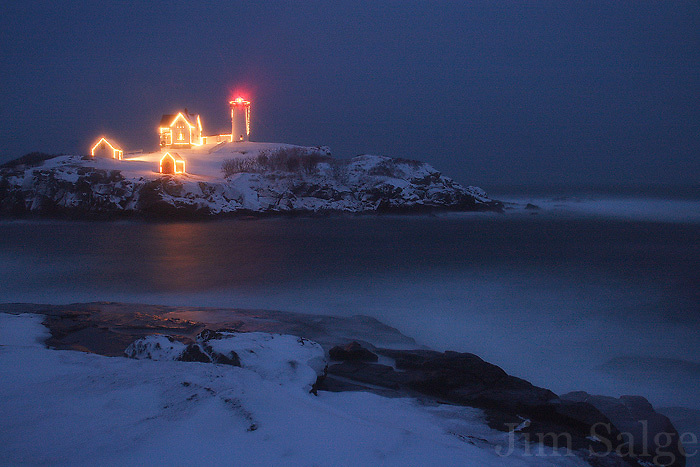 Nubble Lighthouse in York, Maine is an iconic location any time of year, but espeically during the holiday season when it is decked with lights. Though it wasn't snowing twenty miles inland, a localized storm called a Norlun Trough caused a blizzard right at the coast. All the snow created a softening filter for the lights on the beacon, which I captured during the blue hour after sunset.